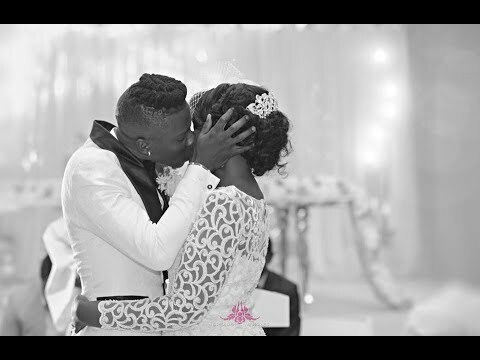 Several people thought Shatta Wale's absence at his fellow Dancehall act Stonebowy’s wedding was because of their rumored ‘beef’ but Shatta has disclosed the real reason why he was not present at the “BhimNation” wedding. Speaking from his current base in America, Shatta Wale told Abeiku Santana on the “Total Showbiz” segment of Okay FM’s “Ekwansodwoodwoo” drive time, that his friend Stonebwoy didn’t invite him to be part of his special day and that is the only reason why he was not there. “He didn’t invite me! If he invited me, I would have attended. On that day, I took my Range Rover to the washing base with some Camaro and my Benz. I would have gone with a whole convoy and I have a special suit, I wanted to wear to the wedding but he didn’t invite me”, Shatta said when has was asked why he was not seen at Stonebwoy's much publicised wedding. Shatta added that they are all one people so it was not nice for Stonbwoy to ignore him on such a day as special as his wedding day “It is not nice at all. You know we are one people”. Asked whether if Stonebwoy invited him, he would have truly attended, Shatta “Oh yes! Because I really like weddings”. The ‘Bhim Nation’ CEO and Louisa got married on Friday, 16th June 2017 in Tema at simple and classy traditional marriage ceremony, followed by the White Wedding which attracted the crème de la crème of the showbiz fraternity held at the Unique Floral Events Centre, Trade Fair Centre in Accra.